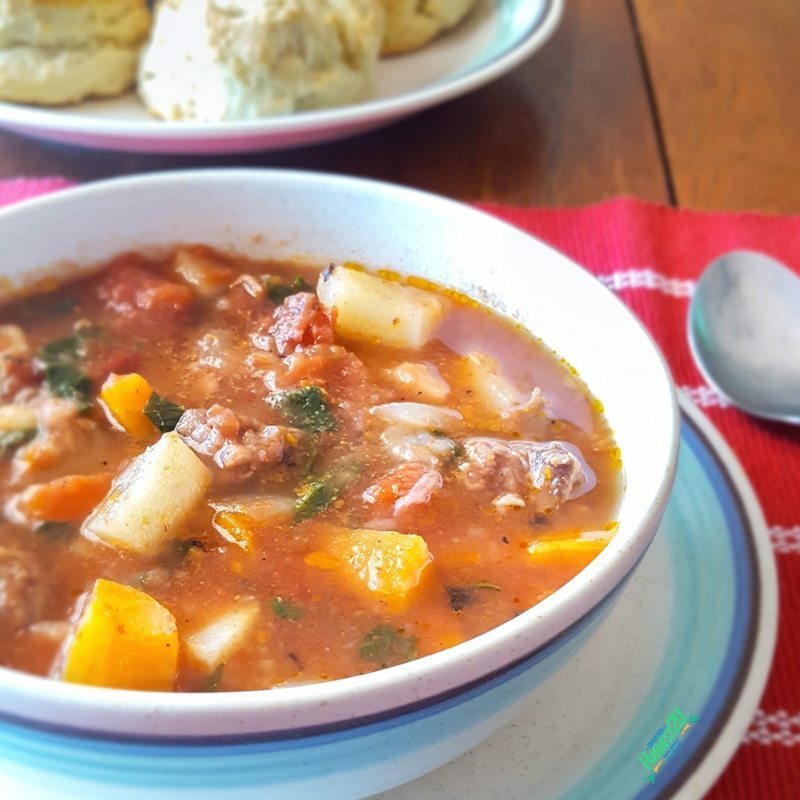 Beef and vegetable soup is loaded with healthy root vegetables, plus some greens tossed in at the end for extra color and nutrition. I have included instructions for cooking it 3 different ways: stovetop, slow cooker, and pressure cooker. Add all of the ingredients, except turnip greens and salt and pepper, to slow cooker, pressure cooker or stovetop. Set to Soup and adjust the time to 17 minutes, let pressure release naturally. Cover and cook on medium heat for about 2 hours until beef and vegetables are tender. Add the turnip greens and cook for a few minutes more until the greens are wilted. Adjust seasoning and serve.